Avi Loeb is that Harvard astronomer, the one from the articles-gone-viral and wildly shared emails, the one with impeccable scientific credentials who isn’t shy about voicing preposterous notions. That’s where he begins his seminar class on the first day of the spring semester, right after handing out his syllabus. With Loeb’s help, the students piece together the story: ‘Oumuamua is the first and only interstellar asteroid yet discovered, a distant speck of light that came from the space between the stars. Astronomers spotted it passing through the inner solar system in the fall of 2017. But also, says a student near the front, some scientists speculated that maybe this object wasn’t entirely natural. Maybe it was an alien spacecraft. Avi Loeb is that Harvard astronomer, the one from the articles-gone-viral and wildly shared emails, the one with impeccable scientific credentials who isn’t shy about voicing preposterous notions. “Who made that speculation?” Loeb asks, his grin widening. “Was it you! ?” the student realizes, shocked and delighted. “I’m flattered that you decided to take this freshman seminar without knowing who I am,” Loeb answers. Prior to his headline-grabbing supposition a few months ago, Loeb, the chair of Harvard’s astronomy department, was already about as well known as a working theoretical astrophysicist can be. He’s made himself widely available to science journalists, combining the sales instincts of a marketer with the research chops to leave fingerprints on just about every exciting hypothesis in the cosmos. Then he threw his weight behind the theory that ‘Oumuamua might be an artifact from another civilization, not just an unusual space rock. His scientific papers presented the idea demurely — to protect the reputation of younger coauthors. “Fortunately, nobody put me under house arrest,” he says. He pushed the idea further in interviews, sparking a chain reaction. Headlines begot more interviews begot more headlines. ‘Oumuamua itself is now long gone from Earth’s view, but five different documentary crews have approached him in the past few weeks. Loeb’s willingness to entertain the alien theory has turned off more than a few colleagues. 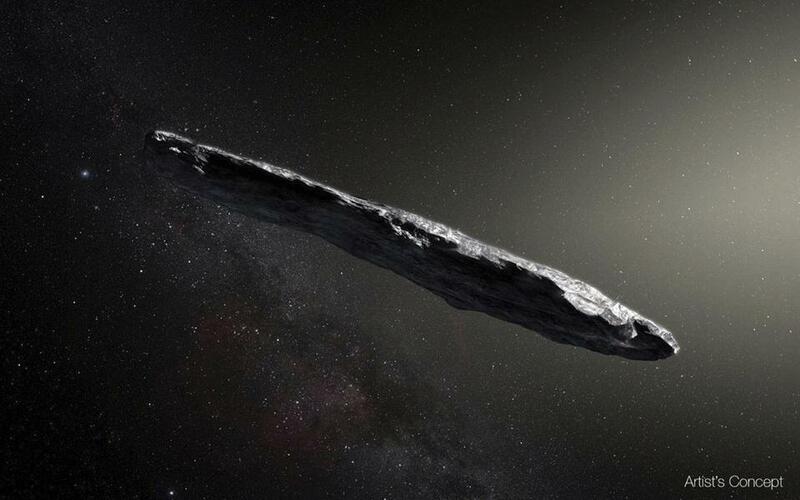 Most astronomers refute the idea that ‘Oumuamua’s appearance and behavior warrant such an outlandish explanation. Some dismiss Loeb’s assertion as attention-grabbing to the detriment of public understanding of science — or simply wrong. But the idea’s zaniness itself may have scientific value. Most researchers, as the philosopher Thomas Kuhn wrote, spend their careers toiling over intellectual puzzles using the established rules. Every so often, though, insurgents like Galileo or Einstein upend the norms of polite scientific discourse, propose something entirely new, and have the temerity to actually be right. The question surrounding Loeb these days: Is he following in that grand tradition or, as his critics might suggest, is he just tweaking us? Either way, his musings are attracting major funding. Since 2015, he’s chaired a science advisory committee for the Breakthrough Initiatives, a private organization established by Russian tech billionaire Yuri Milner to — and this might sound familiar — contemplate travel between the stars and search for extraterrestrial signals. Loeb worked for a few years on Star Wars, traveling back and forth to Washington. Then he took a fellowship at Princeton’s legendary Institute for Advanced Study before moving to Harvard. Along the way, he’s crafted hundreds of scientific studies about everything from the true nature of dark matter to the very first stars in the universe. So far, some of these theories have come true. Others haven’t. In 2015, Worden, several high-profile jobs after Star Wars, came to Loeb’s office on a recruitment mission with the billionaire tech investor Milner, himself a former physicist. They wanted to figure out how they could send probes across the massive gulf of space between the Sun and the next-nearest star within a human lifetime. “We really didn’t have a very good idea how we would do this,” Worden says. So Loeb’s group of PhD students and postdocs acted as a brain trust, helping winnow down from dozens of far-out possibilities, including antimatter engines a la Star Trek, to one. Collaborators portray this group as an idea factory around Loeb’s central engine. He’ll bat around ideas with collaborators, then delegate the legwork of specific calculations, generating paper after paper. At a recent meeting, for example, team members crammed into Loeb’s office to present calculations ranging from whether ‘Oumuamua had a freakishly elongated shape (maybe), to how often interstellar objects might pass through the innermost solar system (perhaps twice per year), to whether a famously enigmatic radio signal detected in 1977 came from the same direction as ‘Oumuamua (no, sadly). After Milner and Worden came calling, Loeb’s group sorted through different ideas for interstellar travel, throwing out implausible options. Finally, borrowing from a study by physicist Philip Lubin, they settled on a plan later announced as Breakthrough Starshot. Engineers would build tiny probes and attach them to light sails — sails pushed through the heavens not by wind, but by light. Then they would fire a laser at the sails, pushing the little probes away through space at speeds up to 20 percent of the speed of light. Since he helped with that plan, Loeb has flirted with a related question: If humans could soon use light sails to journey between the stars, why couldn’t aliens do the same? Might ‘Oumuamua be a light sail, itself? Back in seminar, Loeb walks his students through a list of anomalies that drew him to ‘Oumuamua. Then things take a philosophical turn. He spends the rest of this first session spinning out playful hypotheticals to his students. What would first extraterrestrial contact mean for science? For ethics? For politics? He veers between subject areas in astrophysics, freestyling new questions. Right now, no rocket can catch up to ‘Oumuamua to collect more data. But astronomers are still observing a steady stream of lower-grade anomalies. 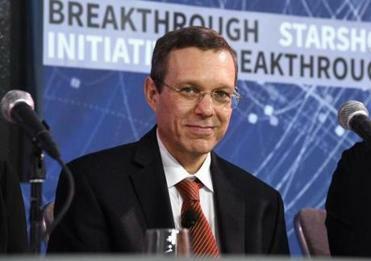 On a recent night, for example, a survey caught an odd, rapidly rotating asteroid, and on Twitter the next day, Stanford astrophysicist Bruce Macintosh was quick with a joke: “No-one — and I cannot stress this enough — no-one is to tell Avi Loeb.” Who knows what he’d do with it? Joshua Sokol is a freelance science writer based in Boston.